The Trust are our team on the ground in Malawi, taking care of the day to day operations of the charity as well as the development of the Learning Centre. Prosperous Chilewani is Chairman of the Chifundo Trust. He has experience as a primary and nursery school teacher and has taught children of other Trust members. A father of five children, his employment is in the transport sector. He and his wife Lucy were instrumental in starting the Chifundo project from their friendship with John and Elaine Cogavin whom they had known through the International Movement for married spirituality – Equipes Notre-Dame. He provides strong support to the liaison process for all of the children. Lucy Chilewani, wife of Prosperous has worked closely with him in the commencement of this project. Lucy is the mother of five children. She is employed by Chifundo as a fulltime liaison to provide the link and support for the children in the programme with their parents, community, teachers and school management. In 2012 to cater for the growing number of children Lucy was joined by our second liaison person Zinenani. 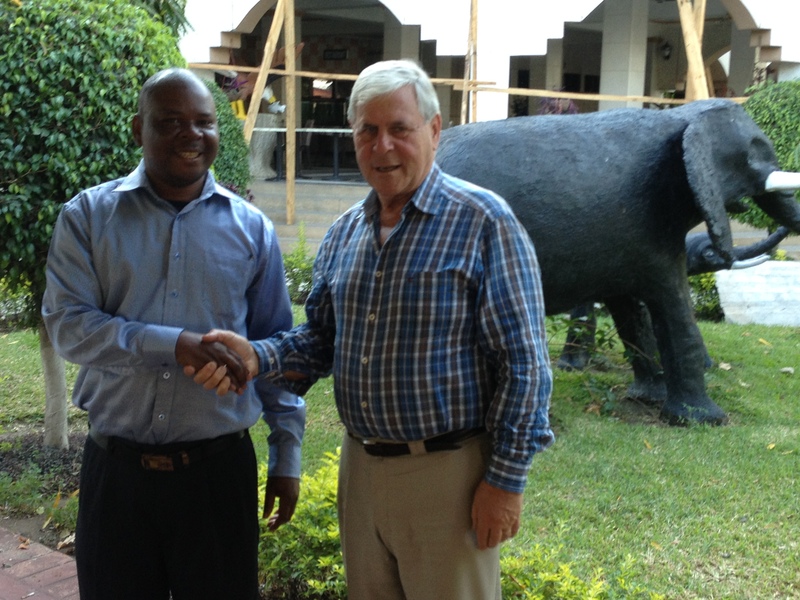 The newest member of the Trust in Malawi is welcomed by John Cogavin. Francis Maleka is currently an Education Development officer in Malawi and has previous experience as a teacher, principal and also in the charitable sector. Frackson Ntawanga is a secondary school teacher and recently appointed Deputy Principal of his Government School. He is a teacher of English and Bible Studies. Frackson is also a Village Chief, an inherited tribal role which puts him in a position of valuable knowledge, responsibility and authority within the community. This unique mix of experience and authority brings a great deal of knowledge to the Trust and the work of Chifundo. Ignatio Bokosi is a Catholic priest. He is parish priest of a vast rural parish which extends to over 500 square kilometers. The Parish has one Church and ten outstations where Mass is usually celebrated monthly. There are thirty nine thousand parishioners, with two priests. Father Ignatio has a great knowledge of the history and social problems in Malawi, and he brings great enthusiasm to the programme. At the end of 2012 an additional liaison role was created to provide the support necessary to the education programme of the children. Zinenani Ziyaya was appointed to the role. Zinenani has the flair and competencies necessary to support the children in the programme. Zinenani is a Malawian national from the city of Zomba. She is in her late twenties, married with two children. She is qualified in education and also has strong IT skills. Zinenani is not a Trust member.